When I became a licensed customs broker 8 years ago, I chose to work with ACELYNK after a careful review of many customs brokerage software options and several demo presentations. ACELYNK stood out among the competition for being at the cutting edge of technology, the easiest to learn and to use, and its willingness to work with a small, start-up company like mine. Boy, did I make the right choice! The true test came with the CBP’s transition from ABI to ACE. 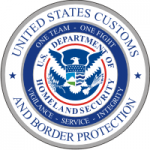 I was impressed that ACELYNK not only kept up with the CBP every step of the way but kept me informed and up to date with what’s going on and the changes that affected me. ACELYNK Support is prompt, attentive and thorough. I have yet to run into a problem that ACELYNK couldn’t resolve within the same business day, usually within the hour. For a business that depends on its ability to transmit entries and obtain releases, it is invaluable to have such support from the software company. I would recommend ACELYNK to any new or seasoned customs brokers alike. I am pleased to be working with ACELYNK, an integral part of my growing business. I am looking forward to many more years of successful partnership with ACELYNK.